Product prices and availability are accurate as of 2019-04-09 07:01:30 EDT and are subject to change. Any price and availability information displayed on http://www.amazon.com/ at the time of purchase will apply to the purchase of this product. 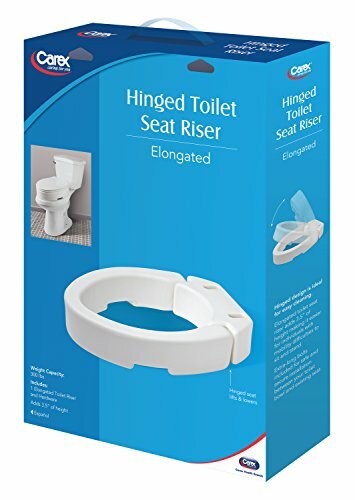 The hinged toilet seat riser is ideal for easy cleaning. Fits most elongated toilet seats adding 3.5" of height making it easier for individuals with mobility difficulties to sit and stand. 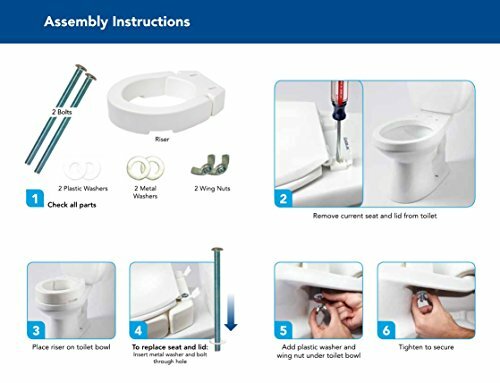 Installs quickly and safety between your toilet bowl and existing seat. Contains (1) Carex elongated raised toilet seat. 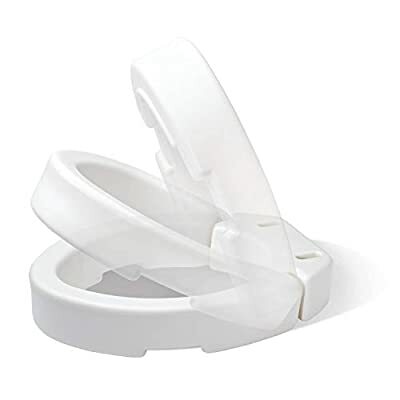 Hinged toilet seat riser adds 3.5" of height to your toilet to aid those with bending and sitting difficulties. 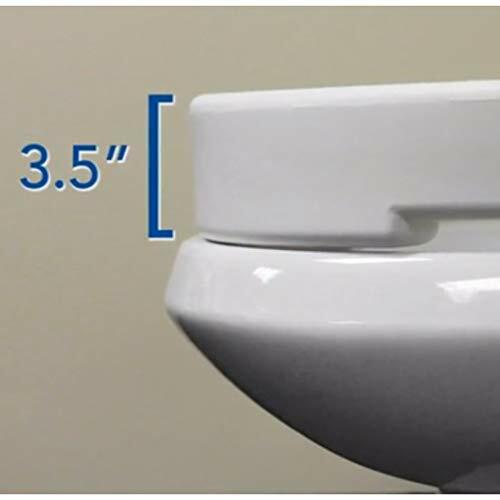 This elevated toilet seat has a weight capacity of 300lbs. No locking is required, portable. The hinged seat makes it easy to clean just like a regular toilet seat and lifts easily. The toilet riser seat fits most standard elongated toilets for support bending & standing whether during surgery, injury recover, or for chronic condition. A lift toilet seat that installs safely & quickly between your toilet bowl and existing toilet seat; an easy choice for those with mobility issues making it difficult to sit & stand providing support where it's needed & comfort where it's wanted. 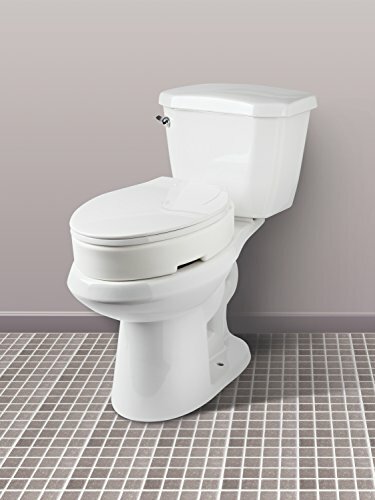 Looking for raised toilet seats for elongated toilet? 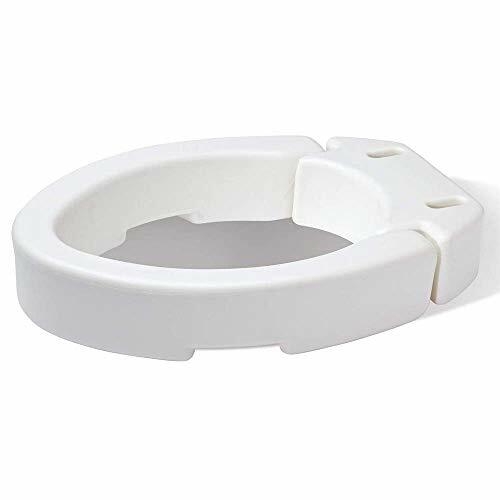 Toilet riser is a simple solution for those with bending or sitting difficulties and a perfect handicap toilet seat or toilet seat for seniors and elderly. Toilet seat is also very comfortable. Trust Carex, a leader in disabled products and medical supplies and equipment for seniors. We are also a trusted manufacturer of raised toilet seats for elongated toilets and standard toilets.